An International Monetary Fund (I.M.F) team led by Niamh Sheridan visited Samoa last week. They were to hold discussions with authorities on the 2017 Article IV* Consultation. The team met with the Minister of Finance Sili Epa Tuioti, Chief Executive Officer of Ministry of Finance Lavea Tupa'imatuna Iulai Lavea, the Governor of the Central Bank of Samoa (C.B.S), Maiava Atalina Ainuu-Enari. They also met with senior government officials, as well as development partners and representatives from the private sector. “The Samoan economy continues to perform well and activity picked up in FY 2015/16 (ending June 30). Tourism arrivals increased; a new processing plant helped boost fishing revenues; and agriculture benefitted from government initiatives and new export markets. Looking ahead, GDP is expected to grow at around 2 percent annually, driven by construction activity, infrastructure development and improvements in the business environment. However, this outlook is subject to downside risks related to natural disasters, strains in correspondent banking relationships and elevated contingent liabilities from public financial institutions (PFIs) and state owned enterprises (SOEs). The closure of the largest manufacturing employer is also likely to adversely affect growth. “Current policy settings of fiscal consolidation combined with accommodative monetary policy are appropriate. This policy mix helps support economic activity while rebuilding fiscal buffers to handle external shocks and natural disasters. The 2015/16 Budget outcome reflected concerted efforts to rationalize expenditure and improve revenue collection and the deficit declined to 0.4 percent from 3.9 percent of GDP. Efforts to consolidate the fiscal position were appropriate, given strong growth and the need to rebuild buffers. To achieve the government’s target of reducing public sector debt to 50 percent of GDP by 2020, continued expenditure restraint is needed but health, education and climate resilient infrastructure expenditure should be prioritized. Additional measures are needed to shore-up revenues including through improved compliance and by broadening the tax base. 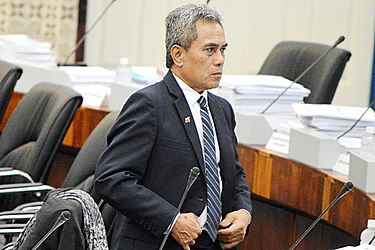 “Samoa’s remittance sector is facing increasing challenges and many money transfer operators (MTOs) are experiencing difficulties in accessing financial services – referred to as derisking. Remittances are approximately 18 percent of GDP and about 80 percent are channeled through MTOs. Derisking is increasing the fragility of the remittances sector and is likely to further increase the cost of remittances. 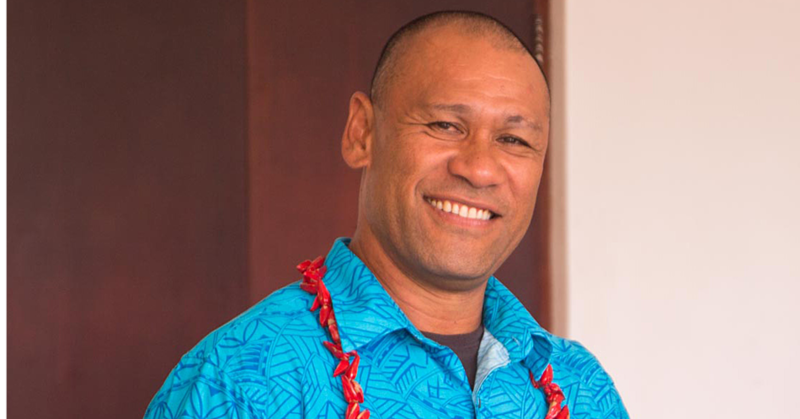 The Samoan authorities have taken important steps to address derisking, including active engagement with global stakeholders. Recent publication of the national strategy for Anti-Money Laundering and Combating the Financing of Terrorism (AML/CFT) was an important step and the mission encourages continued efforts to enhance compliance with global AML/CFT standards. The mission welcomes the authorities’ commitment to establish a database, referred to as Know-your-Customer utility, which can help facilitate remittances by enhancing compliance. The IMF is supporting the government’s efforts through a proposed pilot project and an IMF technical assistance mission is planned for June 2017. “Financial stability indicators suggest a generally sound banking system, though there are risks stemming from high loan concentration, the number of borrowers with a high loan-to-capital ratio, and the potential for a sharp deterioration in asset quality in the event of a natural disaster. 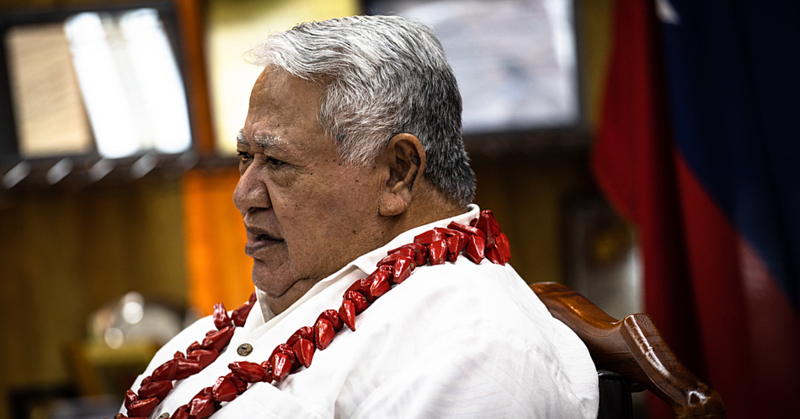 “Continued structural reforms are needed to improve Samoa’s growth prospects. The mission welcomes the government’s continued efforts to increase the accountability and efficiency of public enterprises, which will also help alleviate financial sector vulnerabilities. The introduction of the personal property register will improve access to finance and will support private sector growth. Skills shortages remain a significant impediment for businesses and targeted efforts to improve vocational skills and accreditation could help ease these shortages.